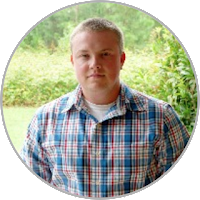 Andy Kriebel started a Makeover Monday Challenge where anyone can download a data set and try to build a meaningful visualization. This week's challenge is to visualize data about the most valuable seasons in MLB history. This isn't an inherently bad presentation. 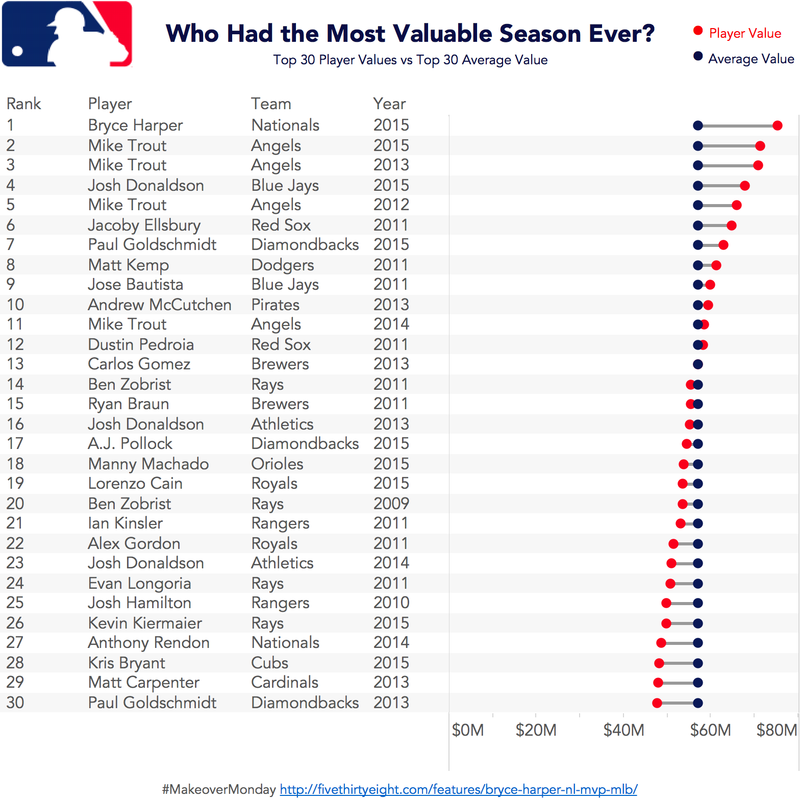 It is easy to see that Bryce Harper had the "most valuable" season with the highest surplus value. One thing I wanted to be able to show was how much better than average Bryce Harper's 2015 season was. I really like using DNA charts to represent the value versus the average, so I needed to be able to calculate the average for the entire Top 30 group. To do this I needed to be able to create a LOD calc to calculate the overall average and exclude the Player, Team, and Year since I am using them on the Rows shelf. Now that I had the Top 30 overall average value, I was able to create the DNA chart. 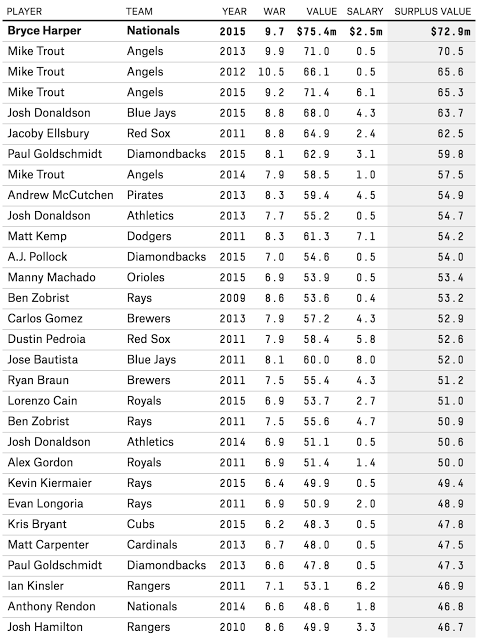 By comparing the player's value to the Top 30 overall average it becomes apparent that Bryce Harper's 2015 season was still the most valuable season ever.